Bathroom remodeling in Newbury Park starts by gathering the bathroom design ideas that you really like. Finding the style that actually demonstrates your tastes is the most important part. Bathroom remodeling is the most popular renovation in the country right now. This means that the internet is a great tool to start out with. By getting an idea of what you can do, you can decide on general concepts to explore with a designer. Why do you need a designer? There is so much out there today for bathroom remodeling that without a professional in your corner, you will miss more than 1/2 of what’s currently available. 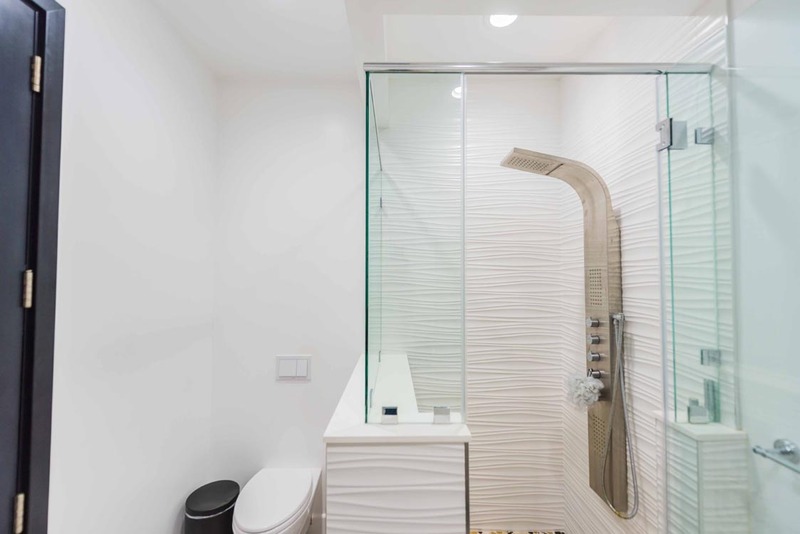 H&A My Design is a premier bathroom remodeling contractor in Los Angeles with over 25 years in innovative design and remodeling. We’ll liberate your bathroom remodeling ideas into a complete detailed plan. H&A My Design bathroom designers take your remodeling ideas fill in all the small details. You’ll get to look at your finished bathroom using 3D modeling software. Take an animated tour in your finished luxury bath. The exhilarating thing is you get to see all the details and choose between them. You’ll see how it comes together for a unique stunning success. The greater number of customers find out that a few details they thought they wanted really won’t fit. That’s why using 3D modeling helps to get it right. Your design will be unique and perfect for your house. Having the ability to see your bathroom design really helps. You’ll see the layout as well as the fixtures and finish aspects in concert. Let’s get together and sit down. You can tell us about the bathroom you’re dreaming about. What do you want to come home to after a day at work? A spa pool? Perhaps you have a preference for a sauna? Luxury showers are getting popular today. Unless you sit with a professional designer, you won’t know even half of what’s available. Share your ideas with a H&A My Design bathroom designer. Spa bathrooms are preferred by the majority of people. But, it’s about what you want, the bathroom is much more than just a utility room. Today, it’s the bathroom is where people in Newbury Park relax. Your personal luxury bath leaves you feeling relaxed and pampered. Remember, our bathroom designers will work with your ideas. Working together, we’ll build a stunning modern bathroom remodel that speaks of style. H&A My Design is the company to call when you want to get serious about bathroom remodeling in Los Angeles. Put our expertise and experience to work for you. Bring the dream bathroom you want into your home. We’ll listen to you. Call H&A My Design today and sit down with us.